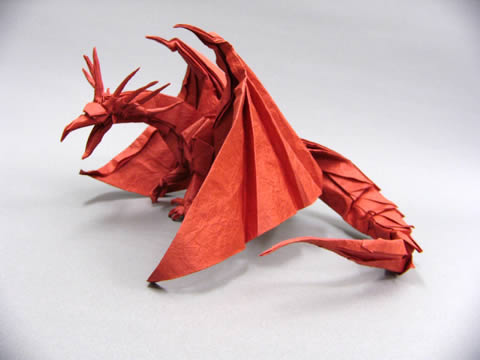 Next, do a search for the 'Origami Forum' in the directory page. The mobile app can be used to respond to or create new forum topics. Furthermore, it is possible to send and receive private messages directly from within the app. Please note that the forum does not yet support native iOS Push Notifications. If you've found the forum useful, please consider making a donation. This is great. I used to use my mobile to check the forum for new messages but I couldn't post anything. Although it took me 15tries to remember my pasword(auto login on my laptop) I've got it working. It would be nice if there was a free app to make it work. But thanks for this! Any way you could get the app for free? I don't matter how hard it is, I just fold it. The Tapatalk app is developed by a third party and unfortunately they can decide how much to charge for it. They do offer Enterprise and commercial plans that would allow the forum to offer a free app however this is expensive and not something that can be sustained by me or the level of donations which we receive. I'm a Mod on another Tapatalk enabled forum, if anyone has anything they're struggling with I'll gladly help as best I can. The tapatalk app works nice. There is only one slight problem. When using the app you cannot see a poll that is added too the topic so you can not vote using the app. Maybe this could be solved? why can I not find my posts when I try.agedgent. Don't know, how did you try? I can find them easily. This is awesome! I'm going to try it out! Nice work, It will be more easy to access it now!